Cost and Insurance Is BELVIQ Right For You? BELVIQ (lorcaserin) is a weight loss medication approved by the Food and Drug Administration (FDA). If you are obese or overweight and have a weight-related medical condition, it may help you to lose weight. But BELVIQ side effects and the cost of BELVIQ should be considered before you decide if the diet pill is right for you. BELVIQ and BELVIQ XR (extended release) are FDA-approved for use in adults with a BMI of 30 and over, or for people who have a body mass index of at least 27 and have at least one weight-related condition such as high blood pressure, type 2 diabetes, or high cholesterol. BELVIQ is designed to help you feel full after you've eaten less food. The medication activates serotonin receptors in your brain. The serotonin receptors regulate hunger. When they signal your body to feel full, you may be able to eat less and lose weight. Prescribing information for BELVIQ explains that users take one 10 milligram pill twice each day along with a low-calorie diet and exercise program. According to the FDA, the drug should be taken for the rest of the patient’s life to maintain a healthy weight. BELVIQ should not be taken by women who are pregnant or breastfeeding. How Much Weight Will I Lose on BELVIQ? In clinical trials, researchers studied 8000 overweight and obese patients. The average amount of weight lost among those test subjects was 3 to 3.7% of their total body weight. Roughly 47% of patients without diabetes lost at least 5% of their total body weight, compared with 23% of patients who took a placebo. So for example, if you currently weigh 250 pounds, it would be reasonable to expect to lose between 7.5 and 12.5 pounds while taking BELVIQ with diet and exercise. 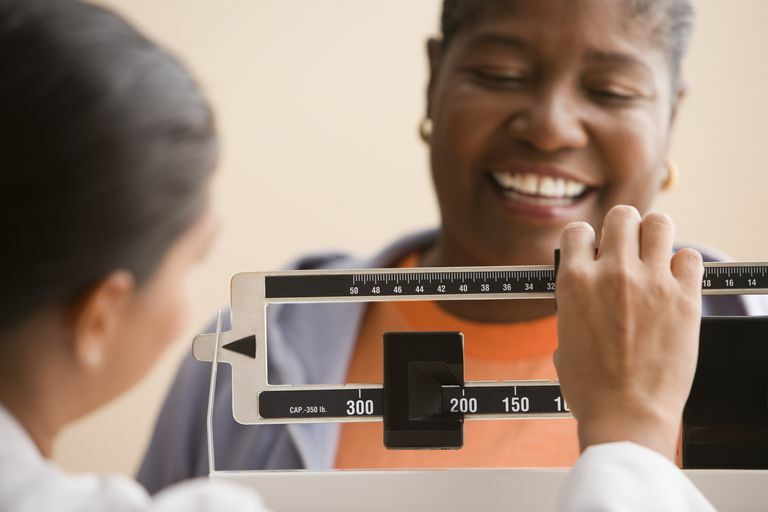 While this may not seem like a significant weight loss, some patients may be able to gain health benefits by losing a small amount of weight. The Centers for Disease Control notes that losing just 5 – 10% of your total body weight can provide health benefits such as improvements in blood pressure, blood cholesterol, and blood sugars. If you don't lose at least 5% of your body weight within the first 12 weeks on BELVIQ, it is not likely that the drug will work for you, and your doctor may take you off the medication. According to the FDA, common side effects of BELVIQ include headaches, dizziness, fatigue, nausea, dry mouth, and constipation. In diabetic patients, side effects are low blood sugar (hypoglycemia), headache, back pain, cough, and fatigue. The National Institutes of Health provides a full list of side effects that you should evaluate and discuss with your doctor before you take the medication. The drug is also not approved for patients who have experienced reactions to lorcaserin or to any of the product components in the past. In the early stages of testing, researchers were concerned about cardiac issues in patients taking BELVIQ. But the FDA has since concluded that the drug is unlikely to cause the heart valve problems that were at issue in the early studies. However, BELVIQ has not been studied in patients with serious valvular heart disease and the FDA recommends that patients with congestive heart failure be especially cautious when taking the medication. In addition, according to the to the New England Journal of Medicine there are some concerns that the drug may carry a risk of psychiatric or psychological problems, especially for people who are taking certain medications. According to the FDA, users of BELVIQ may experience including serotonin syndrome, particularly when taken with medicines that increase serotonin levels or activate serotonin receptors. These include medications that are used to treat depression and migraine headaches. Lorcaserin may also cause disturbances in attention or memory. When you calculate your total BELVIQ cost, you need to keep in mind that the dosage according to the FDA is two pills per day. So most patients will require 60 pills per month. You should also remember that if you want to maintain your weight loss you need to stay on BELVIQ and, of course, continue to pay for the medication. The price of BELVIQ also varies based on insurance coverage and on the pill that you take (BELVIQ or BELVIQ XR). If you have medical insurance that covers the cost of the medication, then your average cost per day would run about $2 per day for BELVIQ XR and $2.20 per day for BELVIQ with money savings cards available on the companies website. If you do not have insurance coverage for the medication, you can expect to pay more. The average cost for BELVIQ without assistance is closer to $3.20 per day. Is BELVIQ Right For You? This diet medication is not recommended for "vanity weight loss." That is, the diet pill shouldn't be used for people who just want to look better in their favorite pair of jeans. Certainly, there are significant costs to be considered if you are interested in taking BELVIQ. Several critical reviews of BELVIQ have mentioned of the long list of potential side effects and the small amount of weight that it may help you lose. But if you've tried other methods of weight loss without success, you may want to discuss BELVIQ with your doctor. Be sure to weigh all the risks and benefits when talking to your health care provider to make the best medical and lifestyle decision for you. Arena Pharmaceuticals. Arena Pharmaceuticals and Eisai Announce FDA Approval of BELVIQ® (lorcaserin HCl) for Chronic Weight Management in Adults who are Overweight with a Comorbidity or Obese. Eric Colman, M.D., Julie Golden, M.D., Mary Roberts, M.D., Amy Egan, M.D., M.P.H., Joyce Weaver, Pharm.D., and Curtis Rosebraugh, M.D., M.P.H.. "The FDA's Assessment of Two Drugs for Chronic Weight Management." New England Journal of Medicine October 25, 2012. Is CONTRAVE Medication Really Effective for Weight Loss? Does Lipozene Work and Is It Safe? Can White Bean Extract Help With Weight Loss?